Non-alcoholic cocktails, known as ‘mocktails’, are a new trend on the healthy eating scene. Sober parties and alcohol-free bars are popping up all over the place in the world’s biggest cities. People’s view of non-alchoholic cocktails has started to change and they are now being viewed in the same light as their alcoholic counterparts. It is no longer a question of just serving a fruit juice with no alcohol, mocktails are now carefully crafted and thoughtfully prepared. Non-alcoholic cocktails were previously seen as a ‘better than nothing’ solution to a problem but are now far-removed from the traditional image of ‘virgin’ cocktails. 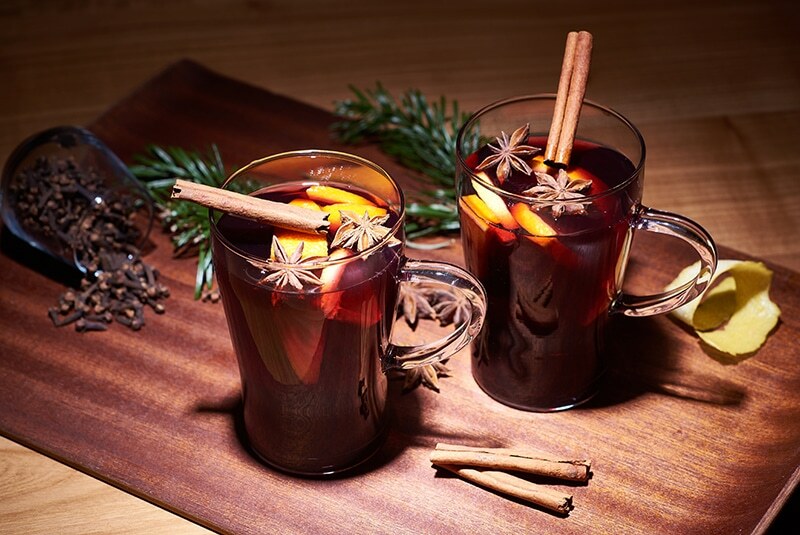 People not consuming alcohol usually give up to a soft drink although the mocktail is now revolutionising the way of thinking and giving them the chance to finally enjoy an evening amongst friends without feeling out of the fun. The new watchword is ‘creativity’ when it comes to non-alcoholic cocktails and there are endless opportunities for putting a new spin on classic cocktail recipes. 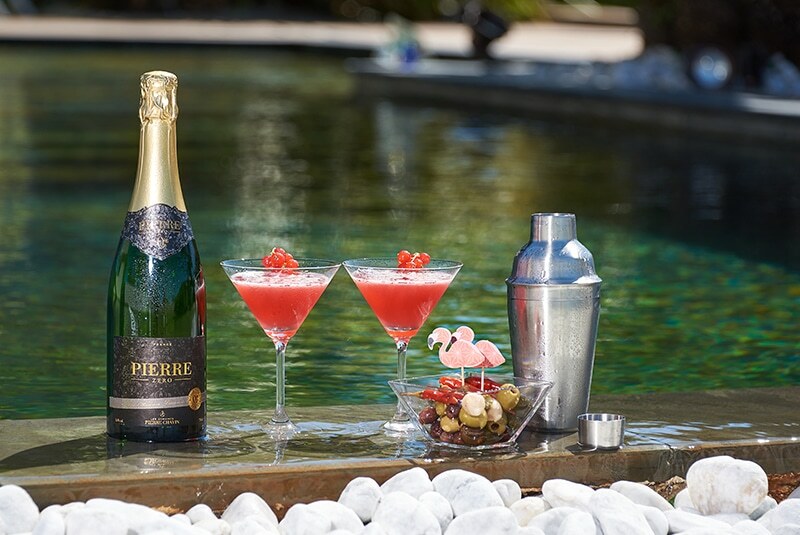 We are delighted to share with you our selection of non-alcoholic cocktails made using Pierre Zéro Sparkling Blanc de Blancs and Red Pierre Zéro Merlot. 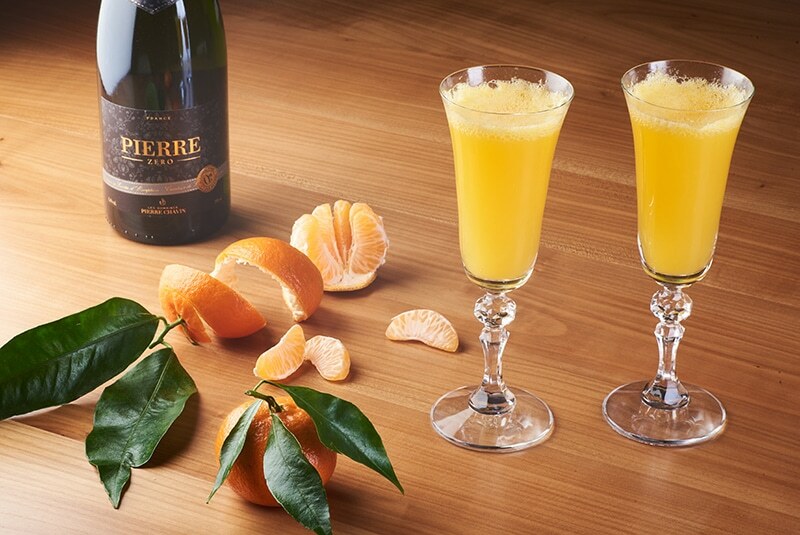 Fill half a cocktail glass with orange juice and top up the rest of the glass with Pierre Zéro sparkling Blanc. 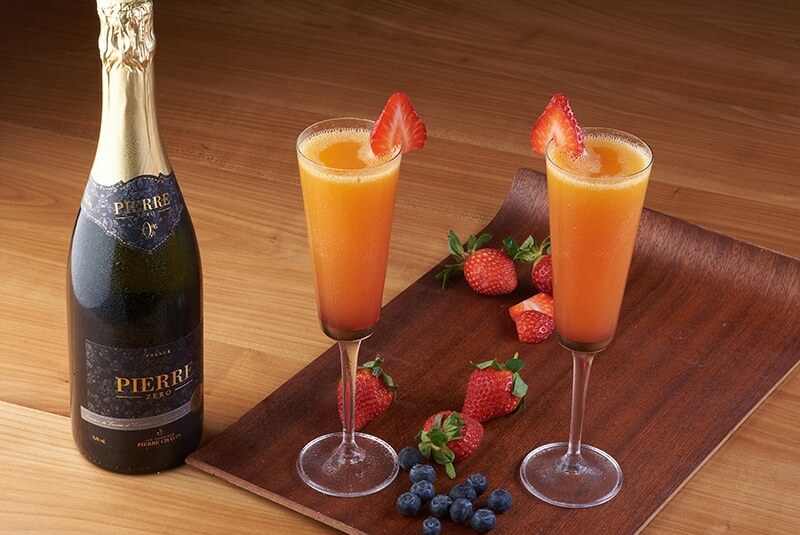 Fill a champagne glass halfway with peach nectar and top up with Pierre Zéro sparkling Blanc. Add a teaspoon of grenadine cordial. 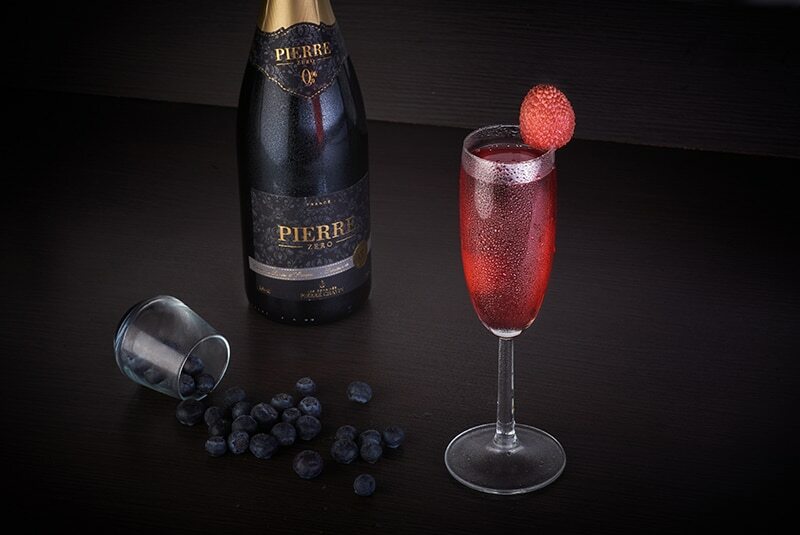 Fill a champagne glass with Pierre Zéro sparkling Blanc before adding a teaspoon of blackcurrant cordial. 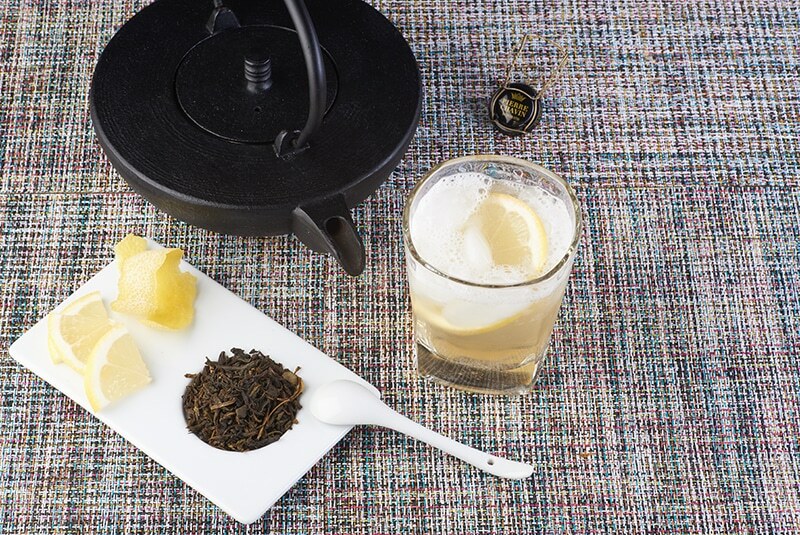 Fill a whisky glass halfway with unsweetened black tea and top up with Pierre Zéro sparkling Blanc. Add a few slices of lemon as desired. 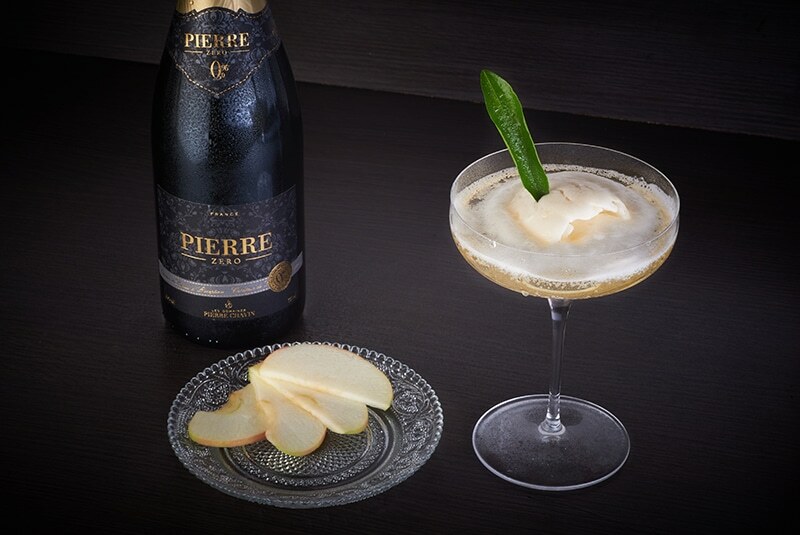 Place a scoop of apple sorbet in the bottom of a martini glass and top up with Pierre Zéro sparkling Blanc. 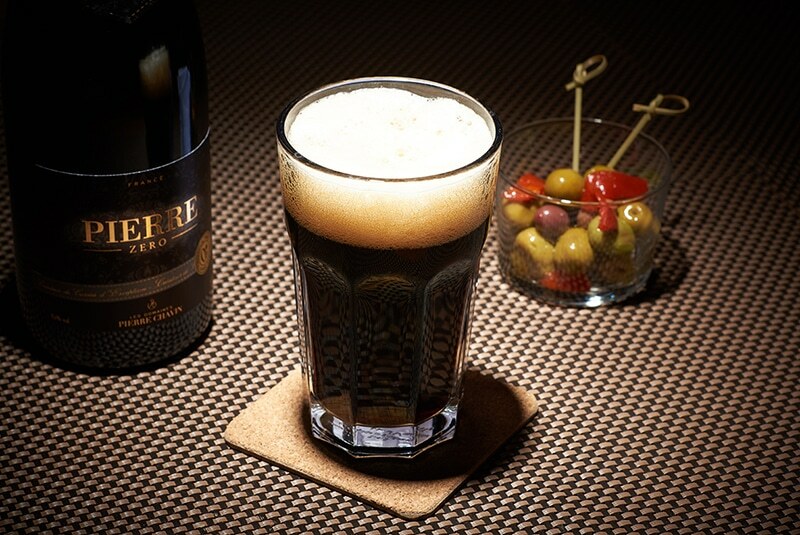 Fill a beer glass halfway with dark beer and top up with Pierre Zéro sparkling Blanc. Place all of the ingredients in a saucepan and bring to the boil before leaving to simmer gently for 10 to 15 minutes. Remove from the heat, cover and let it infuse for half a day. Filter, bring the mixture to the boil and serve very hot. 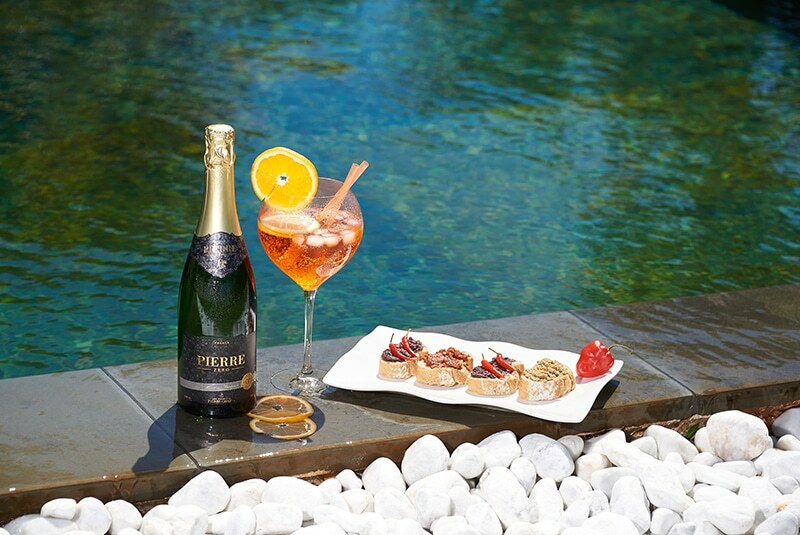 Pour 5cl of Bitter into a spritz glass and top up with Pierre Zéro sparkling Blanc de Blancs. Add the slices of orange and lemon and spice it up with 3 drops of tabasco. In a glass, cruch the lime, the mint and the cane sugar. 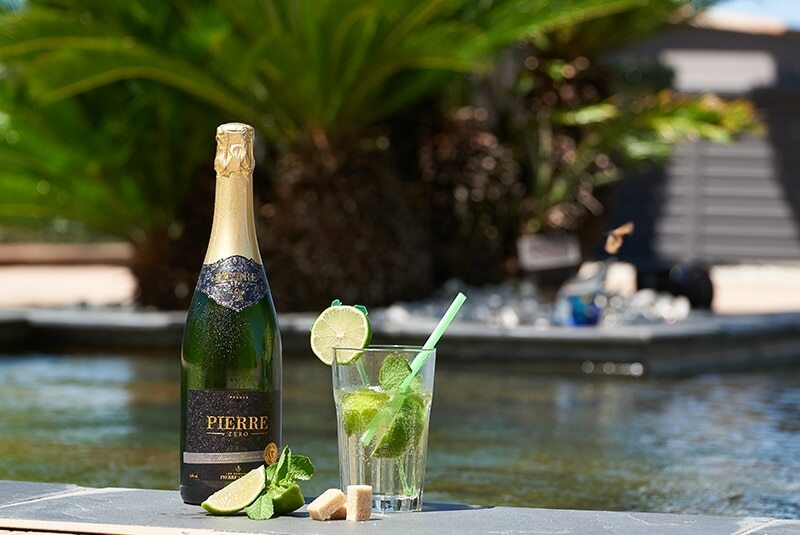 Put crushed ice and fill with Pierre Zéro Sparkling Blanc de Blancs, mix… and enjoy ! 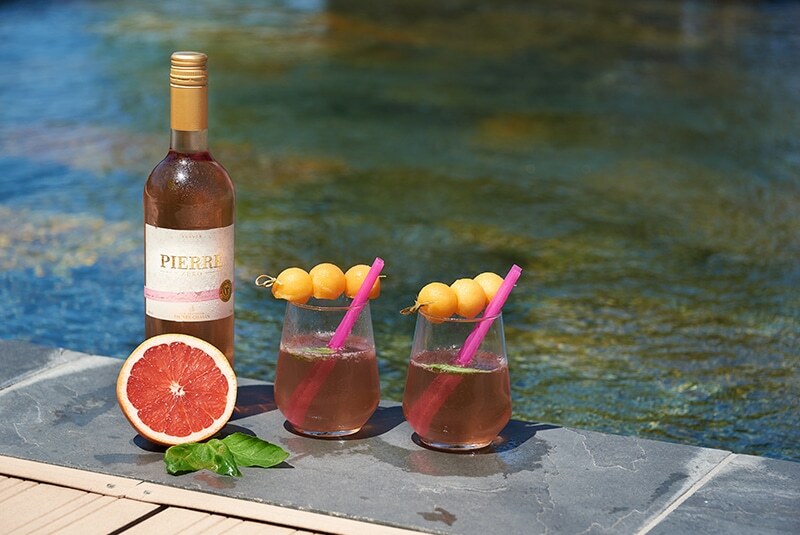 In a big glass, put Pierre Zéro Rosé with some fresh basil leaves and let infuse. Put the grapefruit juice with some sparkling water… Enjoy ! 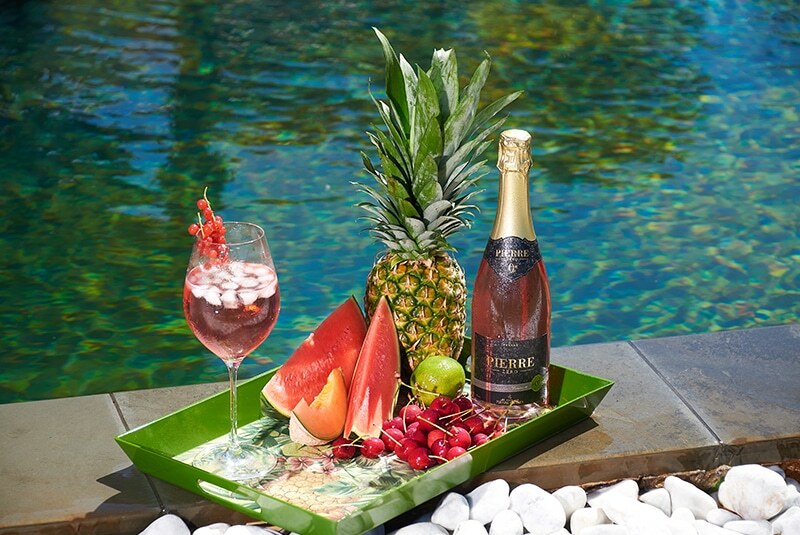 Served « on the rocks » we invite you to discover the « virgin » version with Pierre Zéro sparkling Rosé and ice cubes. Enjoy it in a big glass. In a big glass, put some ice cubes. Put ½ lime juice with half and half Pierre Zéro Grande Réserve Blanc and Pierre Zéro sparkling Blanc de Blancs. Before starting, put ice cubes in a cocktail glass to refresh it. In a cocktail shaker, put lime and cranberry juices. Shake with energy. Remove ice cubes from the glass and pour the blend. 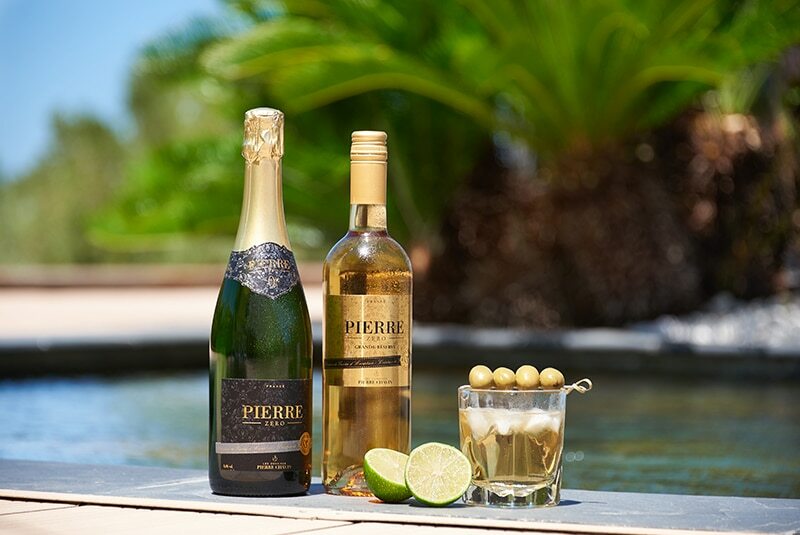 Fill with Pierre Zéro sparkling Blanc de Blancs and decorate with a wedge of lime.